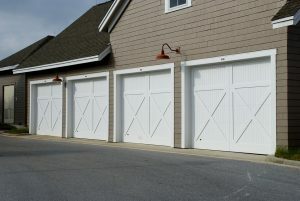 Keeping your garage door clean and well maintained can be the difference between a door that lasts for decades and one that has to be changed pretty quickly. Garage maintenance might not be on everyone’s to-do list, but a few simple procedures will ensure your garage door stays trouble-free for years. – Spray some lubricating solvent such as WD-40 onto the latches, hinges, rollers and roller tracks. You can also squirt a little oil onto the torsion spring if rust has started to build up; in addition, ensure that the pulleys on the extension spring opener and the bearings on the torsion spring openers are well lubricated. – If any of the rollers and the hinges have become stuck, it is best to soak them in some kerosene. You can use a small brush to work the kerosene into the cracks. Rust can be removed with the aid of wire wool; once removed, wipe the parts clean and apply some lubricant. – Over time, hardware can loosen as the result of the door moving up and down hundreds or even thousands of times. Check the roller brackets and bolts and tighten them up with a socket wrench if they have become loose. – Inspect the rollers at least twice a year for any damage and change them at least once every seven years. 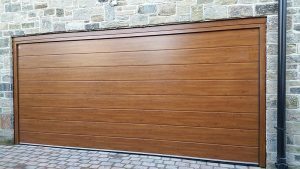 Do this by calling in the professionals – specialists in garage door installation Barnet such as http://garagedoorsrus.co.uk/garage-door-installation-barnet/ are your best option. If the rollers are cracked or chipped, you should replace them as soon as possible. – If the rubber weather stripping on the bottom of the garage door has come loose or is cracked and brittle, it is best to replace it. This will prevent the elements from entering your property. – It is best to wash metal doors twice a year, especially if you live in a coastal area, using a mild and well-diluted detergent. Don’t use bleach or cleanser unless you are going to spot-clean tougher marks. Rinse off with a hose. – For wooden doors, a mild soap with warm water should be used with a non-abrasive rag. Hose down afterwards in a gentle fashion. Wooden doors should be cleaned regularly to keep them looking attractive.